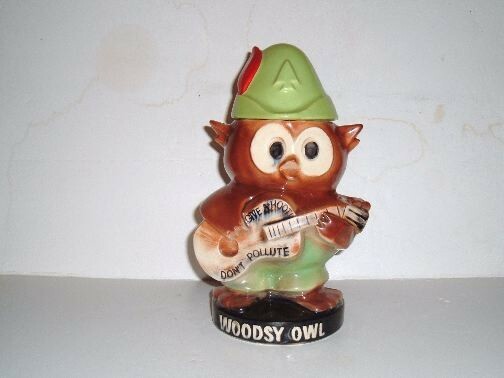 WOODSIE OWL Cookie Jar by McCoy. The jar was manufactured in 1973. The jar is marked: USA. The jar is from a private collection and is in excellent condition. Some cold paint has worn off the feather on the cap.